Fourchette is a small business in Clinton, NJ established in 2013 by us, husband and wife team Meredith Hyland and Brahim Sadouni. After meeting in Paris in 2008, we lived and traveled throughout Europe. We are inspired by the joie de vivre lifestyle that we discovered there. There’s always time for another café, or glass of wine, good conversation, sharing of ideas! And we have tried to bring a taste of that to our hometown of Clinton. We welcome you to stop in. 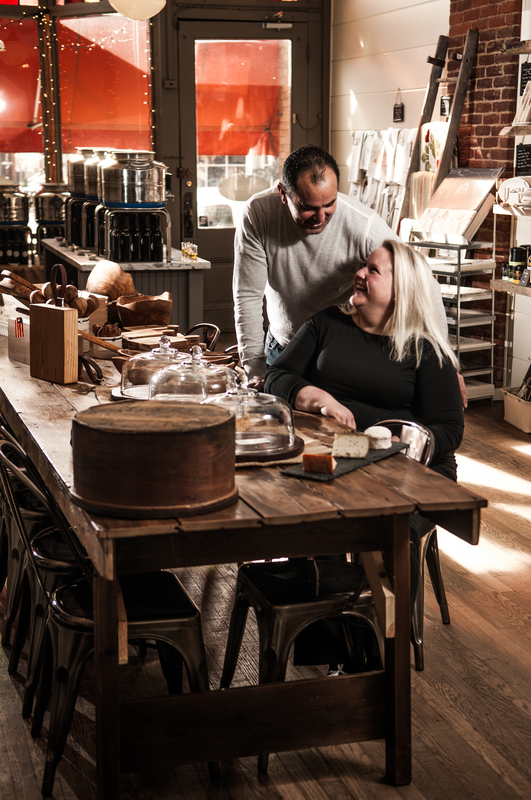 Our shop is about new experiences: tasting new things, sharing stories, and discovering the unexpected…and Cheese!